EAST LANSING — For a third straight game, Michigan State was outscored in the fourth quarter. 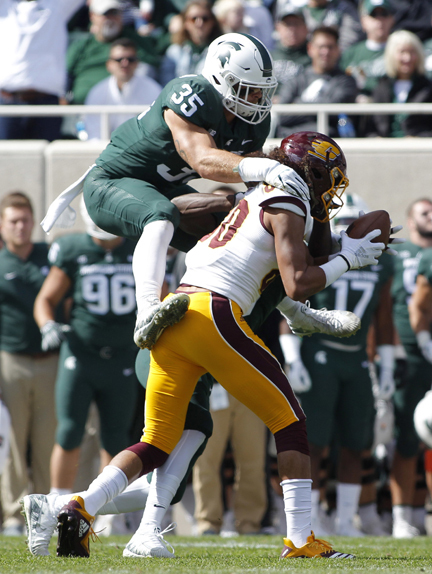 Against Arizona State, however, the Spartans were up 13-3 going into the fourth and lost 16-13 . They gave up the first 14 points of the fourth against Indiana before holding on for a 35-21 victory. Michigan State moved up a spot to No. 20 in the Top 25. The Spartans host Northwestern on Saturday.